Summary: In this article we will be looking at the top 5 free game recording software for different platforms that you can use to record gameplay. DVDFab Screen Recorder & Editor for iOS is a Windows desktop application that uses AirPlay Mirroring to record video and audio from the screen of your iPhone, iPad or iPod touch. When you playback the recorded video, you will find the audio and the video to be completely in sync. It also supports PIP (picture-in-picture) effect by which you can use the front camera of your device to record your face and voice and embed it in the recorded video. This way you can share your feelings with your viewers as to how much you are enjoying the game or how to clear a particular stage or level in the game. The best thing is once you are done recording the video, you can use the inbuilt Video and Audio recorder to edit your video before sharing it anywhere. You can add watermark to protect the video from unauthorized usage, use the trim or crop feature to remove unwanted portions of the video, add text to explain something more clearly and soon in future releases there will be additional features to add transitions, animations, callouts and captions, zooming in/out and more. Probably the most widely used and famous free game recording software for gamers around the world to record their gameplay footage. It is an open source tool and offers a lot of flexibility. It supports both live streaming and recording of gameplay from the screen. While it is as simple as selecting a source and starting recording, other features do have a learning curve associated with them. It supports Picture-in-Picture effect allowing you to interact with your viewers. It generates output files in MP4 and FLV format. The recording is in 1:1 ratio, which means it will record in the same resolution as your desktop screen size. There is a huge community support behind this tool and if you face any problem or have a query, you will be able to find most of your answers easily or share it with the community to get them. QuickTime is the best free game recording software for Mac. This application is available as a native application and can be used to record the whole or a part of the screen. You can easily add audio to your gameplay footage by just attaching a microphone. You can also use it to record gameplay footage from your handheld iOS devices like iPod, iPad and iPhone. It also comes equipped with video and audio editing capabilities like flip, rotate, split, cut, copy, trim etc. Since QuickTime is the best free game recording software to use on Mac, there is a whole community of QuickTime users to help you with your gameplay recording. AZ Screen Recorder is a free game recording software for Android. It is a free app with certain optional premium features that you can unlock by paying a small amount. You can use it to record light and heavyweight gameplay videos. Once you start the application, it is easy to ignore the small icon ever-present on the screen to access the recording controls of the application. You can just click on that to open the menu and press the Record button to start or stop the recording. There is an exit button to close the application when you don’t require it but once launched it is available both on the screen and through the notification bar. There are no advertisements or watermark on the output video. You can use the free version till you are comfortable with the features of AZ Screen Recorder and then if required go for the paid version. The app goes through frequent upgrade cycles so make sure to check out the compatibility of your device with the application. Kazam is a compact screen recorder available for Ubuntu operating system. It has features for both screencasting and screen recording. It is a light-weight application that is best for the basic task of recording gameplay video with audio. The latest version of this tool also has a broadcasting feature included in it. The application needs to be installed from the command line and is not available through the Ubuntu Store. This is last on our list of free game recording software because unsurprisingly, it is available only for those Windows desktops which have GeForce graphics cards installed on them. If you already don’t have it as part of the GeForce Experience then you can download it from Nvidia website. An unique feature of Nvidia Shadowplay is that is keeps a cache of last 30 seconds of your screenplay, so in case you missed recording your gameplay start, you still have time to get that recording using a keyboard shortcut or you can directly send it to YouTube or Facebook. It comes with its own video editor. It also supports live streaming with microphone and taking 4k screenshots. If you own GeForce graphics card then your gameplay recording requirements are completely taken care of. This completes our list of best free game recording software for all different types of operating systems. The software selected in this list are the top picks for their operating systems and are programmed to provide the best quality of video and audio of your gameplay. Here we will look at some useful software programs and give you the detailed steps about how to edit GoPro videos. Do you want to convert MP4 to WMV? 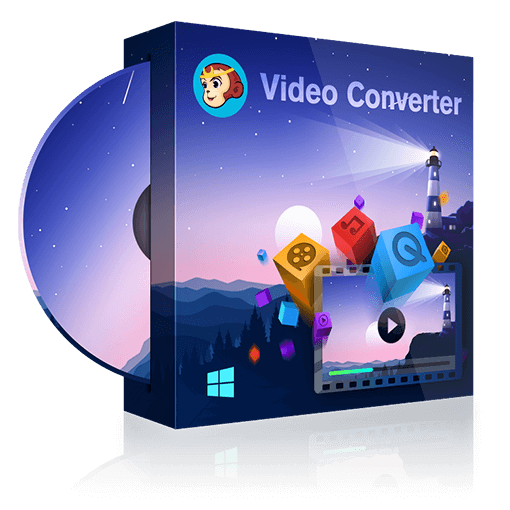 Here are top 5 best MP4 to WMV converters for your personal video conversion.